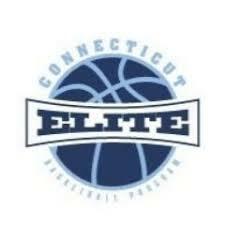 The Connecticut Elite Basketball Program held it’s 2019 UA Elite 50 Showcase this past weekend on March 30th, 2019. The camp was populated mostly by players that ranged from the 4th grade all the way through their senior year of high school. Many talent evaluators and college coaches were in attendance to witness firsthand the amount of talent coming out of the Nutmeg State. Players from New York and as far away as California also made their way to this event. U3 Basketball was there for the high school session (10th – 12th) and was able to see some incredibly gifted athletes looking to make the leap to the next level. The format of the camp saw players from all grades, positions and skills put together in separate teams to try to maximize competition. Players were disbursed across 8 teams that were scheduled to play against other in a round robin format. The teams were tiered by player skill and projections. Four of the teams boasted high major talent including several players already drawing DI and DII interest or offers. The other four teams were put together for players with college level ability at the DIII and potentially DII level that had not yet been discovered and needed this exact type of exposure. After witnessing the 2 ½ hour camp, U3 Basketball came away impressed with some of the talent available in Connecticut. Ciaran Sandy, (PG-2019) 6’7”, Forward, Avon Old Farms, Avon, CT - It’s clear why the interest in Ciaran is increasing with many D1 schools locally and in the tri-state area. Ciaran is a multi-faceted player that can push the ball in transition and get to the basket. He displayed an uncanny ability to track the ball and rebounded very strongly this weekend. He got out on the break regularly and finished through contact. His high-flying activity on both ends of the court solidified his potential as a D1 recruit. Jaylin Palmer (2019) 6’2”, East Hartford High School, East Hartford, CT - Jaylin Palmer displayed a supreme handle weaving his way through traffic and pressure with ease. He is very strong getting to the hoop but thrives at making plays for his teammates. He can hit the outside jump shot but is often a little too unselfish. His long arms and quick hands make him a good defender constantly poking away at the ball. Can finish with an array of moves at the rim. Jaylin projects to play at the DII level with the right fit and opportunity. Kevin Crawford (2019) 6’0, Bassick High School, Bridgeport, CT - Explosive and quick. Hands in every passing lane. Talking to his teammates and talking to his opponents. One of the smallest players on the court with the biggest chip. His speed and pressure on defense led to several steals and breakaway dunks. It seemed as if he never tired and his energy was infectious. Very efficient shooting the mid-range jumper. Has high interest from several DIII schools in New England which falls in line with his projection. Symien Jemison (2020) 6’7”, Forward, Avon Old Farms, Avon, CT - Tough and rugged is how we would describe Symien. Battled all day long for rebounding and was tough defensively. Has the ability to finish with either hand and displayed a nice jump hook. Ran the floor like a guard and looks to attack. He oozes potential and can develop into a solid player with the right guidance. We currently project him as a High DIII prospect but can certainly play DII when all is said and done. Guy Ragland (2020) 6’7”, Forward, Northwest Catholic, West Hartford, CT - This is another long-armed prospect that uses his length to grab rebounds out of his area and either block or alter multiple shots. He does a good job of boxing out and getting into position to get rebound opportunities for put backs. Has a good jump hook inside the paint. He can hit the mid-range jumper. Good instincts defensively. Today projected as a DII kid but can certainly receive DI interest with a solid year. John Lukau (2020) 6’4”, Swing, Naugatuck HS, Naugatuck, CT - John started off the game going 2 for 2 from three-point range hitting nothing but the bottom of the net. Immediately thereafter he stole the ball and went in for an uncontested tomahawk dunk. 1 minute into the game and he had already taken over. John was ferocious in attacking the basket and going for rebounds and loose balls. Clearly a prospect to watch. Projects strongly as a DII player and has DI interest. Gabe Charleston, Jr.-(2020) 6’4”, Guard/Wing, Cromwell HS, Cromwell, CT - Easily the most explosive athlete in the venue. At 6’4” with a 6’10” wingspan his athleticism was on display all day long with acrobatic finishes through contact and ripping boards away from bigger opponents. His slashing ability is elite, and he is a highlight machine in waiting. Gabe only needs to be more consistent with his shooting and ball handling to become special. Today’s projection DII but with dedication and hard work DI is not out of the possibility. Aedan Using (2020) 6’6”, Forward, Old Lyme HS, Old Lyme, CT - Aedan surprised us by bringing up the ball multiple times setting up his teammates. At 6’6 he is able to look over the defense and find cutters. He has a nice mid-range jump shot but can extend to the three-point line. He uses his body well inside and is crafty with his inside finishes. He understands the game well. We could see him excelling at the DIII and DII level currently. James Kamich (2020) 6’10”, Center, Redemption Prep, New York - At 6’10”, James is a tough match up inside. He can use his long arms to rebound over players and can finish inside with either hand. He is also mobile enough to handle the ball and we saw him drive to the basket, spin, fade away and hit a 12-footer. It was a high-level move. James projects currently as a D1 prospect. He only needs to get stronger and develop a go-to-move to have a positive impact. Michael Crowe (2020) 5’8”, Guard, University HS, Hartford, CT - Michael is a solidly built left handed guard that was relentless in driving to the hoop. He finished multiple and ones on this day and has the uncanny ability to ward off defenders despite his size. He handles the ball well and gets into the lane quickly if he spots on opening. His speed allowed him to create multiple opportunities for his teammates. He searched out the contact. DIII player currently. Marlon Short (2020) 6’5”, Guard, Canterbury Prep, California - Marlon is already a DI prospect boasting two DI offers currently. He is a big point guard with a smooth handle that never seems to be rushed. He plays at his own pace and his ability to get to the basket and finishing made him very hard to guard. Taeshaun Sanchez (2021) 5’8”, Guard, Derby HS, Derby, CT - Taeshaun was an absolute blur on the court today. He used his handle to push the ball up the floor looking for transition opportunities. He also kept the defense off balance with his dribbling allowing him to hit jumpers off the dribble. He is nearly impossible to keep in front of you. Defensively he dug in and tried to create havoc with unrelenting pressure. Projects easily DIII for now but he is only a sophomore. Maxwell Gayle (2019) 6’6”, Forward, Seymour HS- Big bodied forward that uses his build well inside to carve out space for layups and rebounding. Has the ability to run the lanes to finish in transition. We saw him push the ball down the court for an easy finger roll around the defense. Currently receiving DIII interest. Alfonso Smith (2019) 5’9”, Guard, Ansonia HS- Lightning quick guard that looks to score in transition. Played the passing lanes well and got his hands on multiple passes. Very disruptive on the court. Made plays off his speed and penetration. Alfonso continued to get into the lane and rise up for the mid-range jump shot he loves. Isaac Cardona (2019) 5’7”, Guard, University HS- Isaac displayed good vision throughout the event looking to pass ahead on every opportunity. Had several assists off the rebound for his teammates. Good looking shot from the outside. Great defensive positioning and took several charges on the day. Alexis Quinones (2019) 5’10”, Guard, HMTCA - Good ball handler that can get to the basket for difficult finishes or pull up for a jump shot off the dribble. Has 3 pt. range. Can withstand ball pressure with his confident ball handling. Pushed the ball effectively. Adriel Gill (2019) 6’1”, Guard, Platt HS- long armed athlete with a sweet shooting stroke. Did a good job of rebounding and bringing up the ball. Had several dribble drive pull up jumpers that hit nothing but the bottom of the net. A definite threat from the 3 pt. line. Anthony Beasley (2019) 6’0”, Guard, Ellington HS- There certainly wasn’t a shortage of tough, quick guards that could get into the lane. Beasley is exactly one of those. A pure point guard that looks to set up the offense but takes advantages of scoring opportunities. He may be faster with the ball than without. Rondell Tyson (2019) 5’11”, Guard, Manchester HS – Strong physical guard that thrived at driving through the lane and finished consistently through contact. He also capitalized on shooting opportunities from the outside. Aidan O’Brien (2020) 5’11”, Guard, Bolton HS – Deep range shooter that also displayed a knack for setting up his teammates for easy buckets. Pretty slick passing and understands angles well. Played with the higher rated kids but showed he belonged. Brian Geitner (2020) 6’4, Guard/Forward, Tolland HS- Strong physical player that attacks the rim and finishes through contact. Finishes high over the defense. Does the little things to help his team win. Looks ahead in transitions and gets on the boards. Fundamentally solid. Cape Holden (2020) 5’8”, Guard, ND- Fairfield HS- Cape is a good ball handler that gets into the lanes to create plays for his teammates. He is an outstanding outside shooter from the 3-pt. line. Plays the passing lanes very well. Seth Caslin (2020) 6’2”, Guard, Westbrook HS- A left handed guard that showed a knack for hitting open 3s. He also demonstrated a nice dribble drive pull up jumper from the mid-range. Has deceptive quickness and anticipates on defense well. Nick Lappas (2020) 6’4”, Guard, Westhill HS- Showed a really strong all-around game. Hit the jumper when he was open. At times he helped bring the ball up and took it all the way to the rim. Ayden Morrison (2020) 6’6”, Forward, Stonington HS- Big bodied post player that was not afraid to throw his strength around. Showed good hands and fought through contact. Very strong and hard to move. Rebounded aggressively. Egan Foye (2020) 6’8”, Forward/Center, Somers HS- A traditional back to the basket big man with soft hands. Displayed a willingness to throw his size around. Looks to have decent low post moves. Only needs to get stronger and more confident to elevate to the next level. Carter and Hunter Meshanic (2021) 6’4”, Swing, Kingswood Oxford- The twins performed at a high level displaying their high IQ and grit on offense. With their ability to post up small guards and stretch the floor against bigger defenders they make themselves hard to guard. The combo guards are already attracting college recruitment. Tavian Montanez (2021) 6’1”, Guard, Westminster – Really confident ball handler that looked to start off the offense for his teammates. He used change of pace effectively to find openings and get away from pressure. Got to the basket on several occasions but more of a set up guy on this day. Glenn Mignault (2021) 6’1”, Guard, St. Joseph - Glenn should his high IQ by moving the ball efficiently on offense and playing off his teammates. His jump shot has improved, and he continues to get better every time he steps on the floor. Carson Arkay (2021) 6’5”, Forward, Fairfield Ludlowe – Carson showed his ability to play as a traditional big man with his back to the basketball and finishing around the rim. His size and motor caused match-up problems throughout the afternoon as he was relentless on the offensive and defensive glass. “CT Elite did a fantastic job of promoting the March 30th showcase in Newtown, CT. Their ability to acquire such talent from various areas was impressive. We, (Keene State), will be definitely reaching out to a variety of players from this showcase during our recruiting process! Thanks to all the coaches and parents for making this showcase possible.” – Nick Magyar, Asst. Coach, Keene State. “The forum that CT Elite provides to allow talented players across the state to local coaches is a unique benefit that I wish more programs offered to their student-athletes.” – Mark Jenkins, Asst. Coach, Pine Manor.